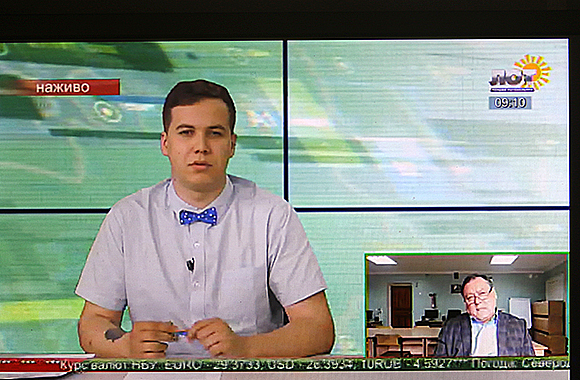 Today the Rector of LTSNU Serhii Savchenko took part in the live TV program “LOT live Morning”. 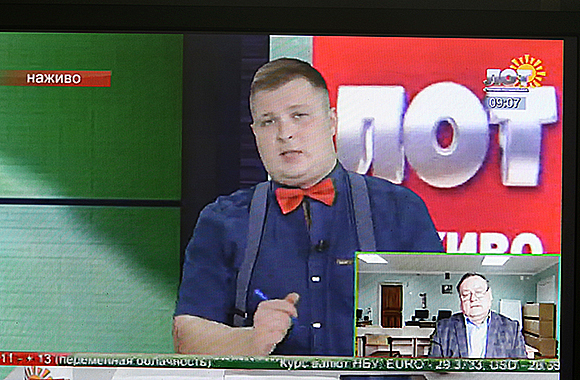 This TV broadcast allows together with the guests in the studio, thanks to the Skype connection, to discuss the main topics, events, to seek answers to current questions. 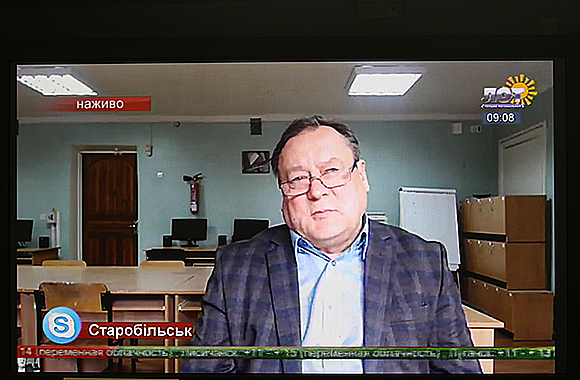 O the air the Rector spoke about the university’s activities in conditions of evacuation, about participation in international competitions and exhibitions, about the end of the 3rd academic year at LTSNU in Starobilsk. 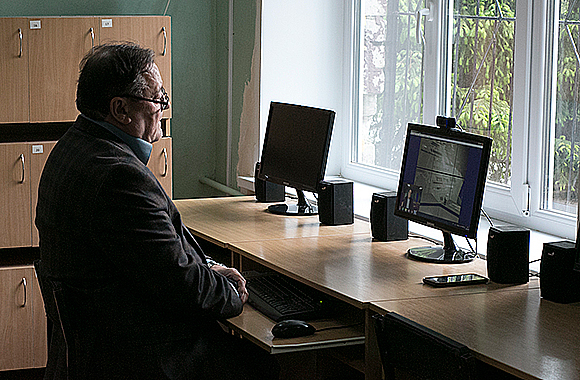 Serhii Viktorovych noted that this year was successful both for students and for teachers. “In March of this year the University took part in the Eighth International Exhibition “Modern Educational Institutions -2017”, which was held in Kyiv. Our university was awarded with the Grand Prix diploma “Leader of Higher Education” and was awarded with 2 gold medals in the thematic nominations “Modern Socio-Psychological and Pedagogical Technologies for Supporting Children and Adults in a Crisis Situation” and “Innovative Approaches in Educational Institutions in the Process of Personality Formation and Upbringing a Citizen-Patriot,” – he stressed. Serhii Viktorovych shared his impressions of the Day of Vyshyvanka, which the university noted along with the whole of Ukraine. “The entire staff of the university, all students came to work and study in national clothes. And when you see so many people in embroideries, the soul rejoices. We showed that Ukrainians are united, which means they are invincible,” – the Rector said. While the military operations are continuing in the east of Ukraine, th einformation support from the side of television is extremely important for our higher educational institution. Thanks to the “LOT” TV channel, we hear and see even more people. They see and hear that despite all the difficulties Luhansk Taras Shevchenko National University remains the standard of quality of Ukrainian education!